Peer selected as a Leading Lawyer in the areas of: Closely and Privately Held Business Law, Commercial Litigation, Land Use, Zoning & Condemnation Law, Real Estate Law, Commercial Bankruptcy, Workout Law and Commercial Law. Profiled by Leading Lawyer magazine. To read the article about Gordon, click here. AV Preeminent®, Distinguished®, and Notable® are registered certification marks of Reed Elsevier Properties Inc., used in accordance with the Martindale-Hubbell certification procedures, standards and policies. Further information may be found here. Gordon has extensive experience and has enjoyed considerable success in representing local, regional and national businesses, and their owners, in all manner of commercial transactions and disputes. His work also involves representing individuals and businesses in real estate transactions and litigation. Those matters include zoning and land use, boundary disputes, nuisances, construction contracts and defaults, and commercial leases. Gordon has assisted clients in the creation and maintenance of corporations, limited liability companies (LLC) and partnerships. He has developed expertise in drafting and litigating non-competition agreements. Gordon also represents both debtors and creditors in bankruptcies involving business debt. 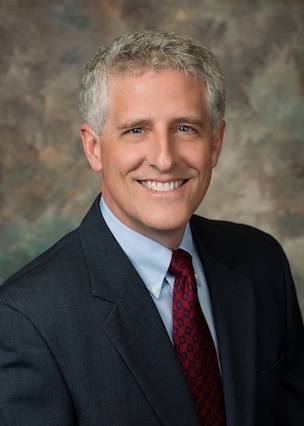 In addition to his commercial and real estate practice, Gordon represents clients in the probate of estates and guardianships, will contests, trust disputes and the drafting of wills and trusts. Londrigan, Potter & Randle, Associate, 1986 - 1997.